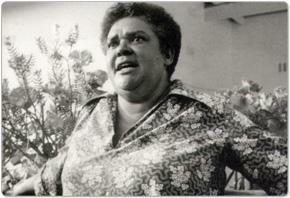 Bessie Head is recognised as one of Africa's most important writers. Much of her writing reflects the extreme difficulties she experienced in her own life, particularly with regard to her identity. Bessie Head was born in a mental institution, Fort Napier, in Pietermaritzburg. Her mother, Bessie Amelia Emery, was hospitalised at the insitence of her own mother, having been diagnosed with schizophrenia. She remained in this institution for the rest of her life. Bessie's father was a black labourer in the area. According to the racial legislation of the time, Bessie was classified as white and was placed with a white adoptive family. However, her racial identity later became blurred as the white family's lawyer noted: "The child is Coloured, in fact quite black and Native in appearance." The state authorities hastily removed Bessie and placed her under the care of a 'Coloured' adoptive family, George and Nellie Heathcote. Soon after moving in with the Hetahcotes, Goerge passed away, leaving Nellie to raise Bessie by herself. Nellie was strict and often abusive. Bessie loved to read but Nellie believed that reading was a waste of time and only provided Bessie with a single book. Despite Bessie speaking of Nellie with great fondness, the local welfare committee decided to remove Bessie from the Heathcote home when she was twelve. They placed her at St. Monica's Diocesan Home for Coloured Girls in Durban. Bessie spent the next six years of her life at St. Monica's, which had a profound impact on her. The school promoted academic excellence for the girls and Bessie was encouraged to read, which she did voraciously. She was so inspired by her new surroundings that she published her first piece, a parable called The Stepping Stones of Truth, in the school magazine. In the same year, however, Bessie learnt in the most brutal manner about her true heritage. Read about this incident in the article: 'A traumatic incident'.